The Black Hills Gold Rush began in 1874, when General Custer led a party of men into the Black Hills Territory in search of gold. Rumor of previous discoveries had dated back to the earlier part of the century, but no real interest was generated for several decades. When Custer and his men arrived near present day Custer, South Dakota, small amounts of placer gold were found on French Creek, but in limited quantities. They explored throughout the Black Hills, discovering small amounts of gold in several locations along the way, but in fairly small quantities wherever they looked. That changed in November of 1875, when they prospected Whitewood and Deadwood Creeks in the northern Black Hills and found the gravels to be rich with placer gold. Word quickly spread throughout the country, and by the next spring there were thousands of men filing claims in the area. Although the Black Hills of South Dakota had been given to the Sioux Indian with the Treaty of Laramie in 1968, the allure of gold could not keep the white man away. The lands were technically off limits to mining, but little could be done after the world got out about the new gold discoveries in the Black Hills. 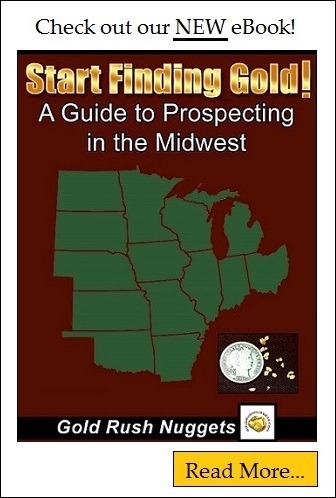 The next big gold rush was on, and soon prospectors were searching every creek and river in the area for placer gold. The historic mining towns of Deadwood sprang up overnight, and some of the best placer grounds were found at Deadwood Gulch. Many men got rich mining these rich placer gravels, and many men died fighting over their claims. Deadwood gained a reputation as one of the roughest and orneriest towns in the country. It didn’t take long for the early miners to exploit the richest placer gravels in the area. Most of the best placer ground was quickly claimed by the earliest arrivals to the Black Hills, and latecomers had the choice of either returning home or search for new undiscovered pockets of gold. Many of them went back to where they came from, but some of the more determined prospectors explored the hard rock deposits that were believed to have introduced the gold into the streams. On April 9, 1876, Fred and Moses Manuel, Alex Engh, and Hank Harney discovered an outcrop of gold ore near present day Lead, South Dakota. What the men had discovered were the lode deposit that fed the rich placer deposits at Deadwood Creek. Their claim was called the Homestake Mine, which they sold to investors the following year for $70,000. The ore deposits were actually quite low grade, but the extent of the ore body was massive! Little did they realize that they were had actually discovered one of the most significant mineral resources in the world! Like many gold rushes throughout the world, most of the easiest worked ground was mined out within a few years. However, because of the rich lode deposits found in the Black Hills, lode mining continued for many years. Numerous mines operated on and off for the next century, mainly in present day Lawrence and Pennington Counties. The Homestake Mine was eventually developed into the largest and deepest gold mine in North America, and went on to produce over 40 million ounces of gold between 1878 and its closure in 2002. This became the second most significant gold discovery in the U.S., behind the more recently discovered Carlin deposits of Nevada. Mining has slowed down significantly in the Black Hills since the early discoveries of the late 1800s. Most of the mines are now inactive, but small scale prospectors can still pan for gold in the many creeks throughout the Black Hills. Tourism has become a huge boon for the Black Hills of South Dakota in more recent years. The historic town of Deadwood still exists today with many structures dating back to the late 1800s, and the town itself is now registered as a national historic landmark. Nearby Mount Rushmore also attracts thousands of visitors each year. 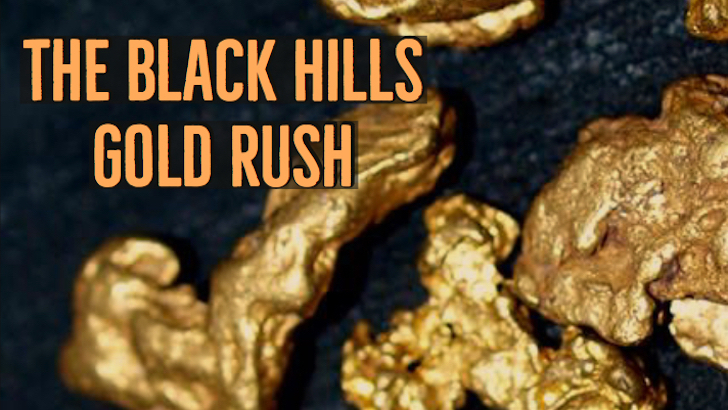 The heydays of gold mining South Dakota may be behind us, but the rich history of the Black Hills Gold Rush still lives on today.